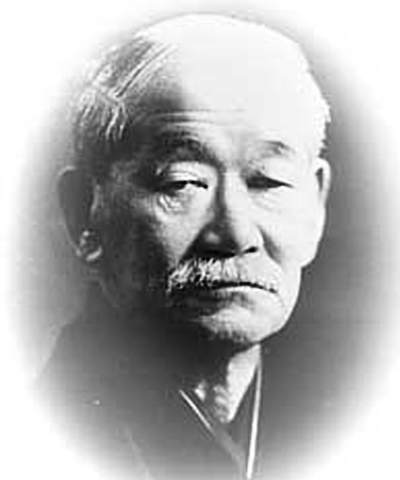 Brazilian Jiu-JitsuIn 1914, Japanese jiu-jitsu champions Esai Maeda and Inomata arrived in Brazil to help establish a Japanese immigration colony in that developing country. He was aided by Gastao Gracie, a Brazilian scholar and politician of Scottish decent. To show his gratitude, the oriental master taught the basic secrets of that ancient fighting style to Gastao's son, Carlos Gracie. 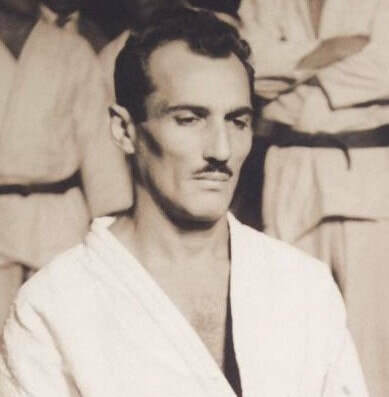 Carlos taught Maeda's techniques to his brothers: Oswaldo, Gastao, Jorge and Helio and in 1925 they opened the first jiu-jitsu Academy in Botafogo, a district of Rio de Janeiro, Brazil. 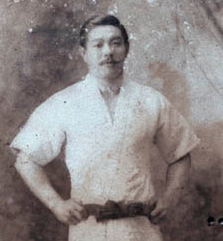 Helio went a step further than his teachers by introducing techniques that required less strength than the Japanese style. Led by him, the brothers were driven by a constant determination to find effective ways to deal with every possible aspect of a real fight. Daring to break away from the traditional Japanese style, they began experimenting, modifying and perfecting simple techniques that would be effective regardless of stature. That is how the Gracie family developed this style of Jiu-Jitsu. Though this martial art descended from the ancient Japanese style, the differences are quite apparent. Many of the Japanese facets of the art which depended on physical prowess and stiff motion were tossed aside, leaving only pure technique. At the age of 17, he first stepped into the ring in Frontao against a boxer named Antonio Portugal where Helio won in 30 seconds. 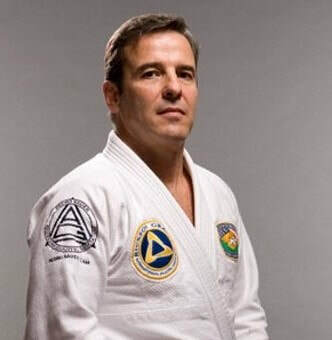 Some of his astonishing feats include the longest fight in history: three hours and forty-five minutes, non-stop with his oldest student, Valdemar Santana; and he was the first jiu-jitsu master in the western world to practically defeat a Japanese jiu-jitsu master: Namiki in 1932. This was the first jiu-jitsu battle of his career and also the first time he wore a gi during a combat fight. Helio ended the fight with Namiki in his guard when the bell rang a few seconds before Namiki tapped out. Another amazing performance of Helio was his brilliant fight against Kato, World Jiu Jitsu vice-champion, at Maracana Stadium which seats 120,000 people. The fight ended in a draw and Helio asked for a rematch. The second match, held in Ibirapuera Stadium in Sao Paulo, was a very technical fight. Helio defeated Kato with a choke hold. His victory brought glory to Brazil and international recognition to Helio's art in the Jiu-Jitsu world . Upon defeating Kato, a challenge match was set between Helio and the world Japanese champion, Masahiko Kimura, probably the best fighter that Japan has ever produced. This historical match took place in 1951 and was held in the Maracana Stadium. At this time, Helio was 42 years old and weighed 63kg, and his opponent Kimura was 34 years old and weighed 100kg. The 37kg lighter Helio lost after his brother Carlos threw in the towel. Helio also challenged boxing greats Primo Carnera and Ezzard Charles, and world champions Joe Louis and later Muhammad Ali, to matches to compare styles. They all declined. to the Martial Arts worldwide. After 70 years of mastering the art, Helio Gracie's youngest son from his first marriage, Rickson Gracie, is still keeping the Gracie Challenge alive. Rickson Gracie, the champion of the family for the last 16 years.